Put on your swimsuit and don’t forget the sunscreen. 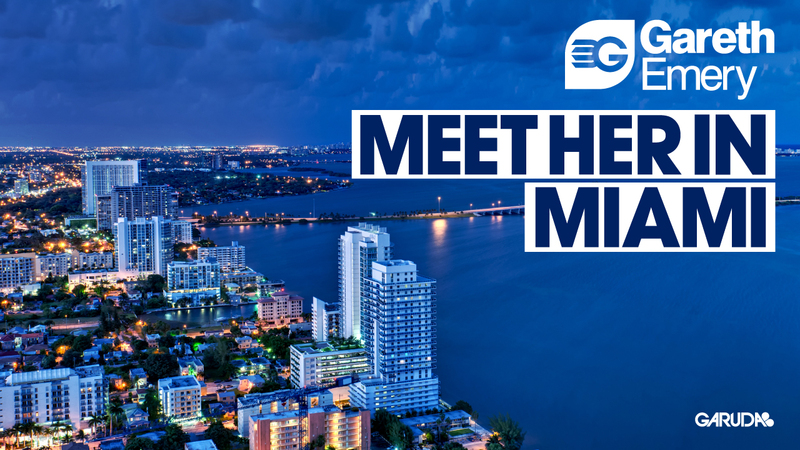 Highly acclaimed producer and record label owner Gareth Emery is about to transport you to a place of sunshine, sandy beaches and beautiful people with his first release of 2013, ‘Meet Her In Miami,’ out now on Garuda Music. Following his two hit singles ‘Tokyo’ and ‘The Saga’–both of which landed in the top 10 on Beatport’s main chart–Emery is back with another surefire chart-topper just in time for Miami Music Week. Through a change in tempo and progressive builds, Emery has produced a modernized tribute to the beloved 1997 dance hit ‘Meet Her at the Love Parade,’ by Da Hool. A track suitable for pool parties, nightclubs and massive music festivals, ‘Meet Her In Miami’ brings the warmth, beauty and Latin flavor of the sunny Florida city to life. Its playful synth and distinct percussive elements stay true to the tribal groove of the original, while Emery puts his own stamp on the track through attention-grabbing breakdowns and immaculate transitions. With Winter Music Conference and all the events that coincide just around the corner, ‘Meet Her In Miami’ is guaranteed to keep bodies moving over the next several months and will surely become the city’s unofficial anthem.